Pictured: Newly launched Tata Zest. Tata Motors has won the top honors at the recently concluded 2014 CII Design Excellence Awards, for its Zest passenger car and Ultra mid-size truck. The Zest won the overall award in the ‘Mobility’ category – from among a field of more than 10 vehicles, including Commercial Vehicles, Special Purpose Vehicles and two wheelers, prevailing over competition from five different categories. Furthermore, Zest also achieved the first rank in the Passenger Vehicle category, to be crowned the best designed car. Tata Motors mid-size truck the Ultra, won the best designed truck award in the four-wheeled Commercial Vehicle category. 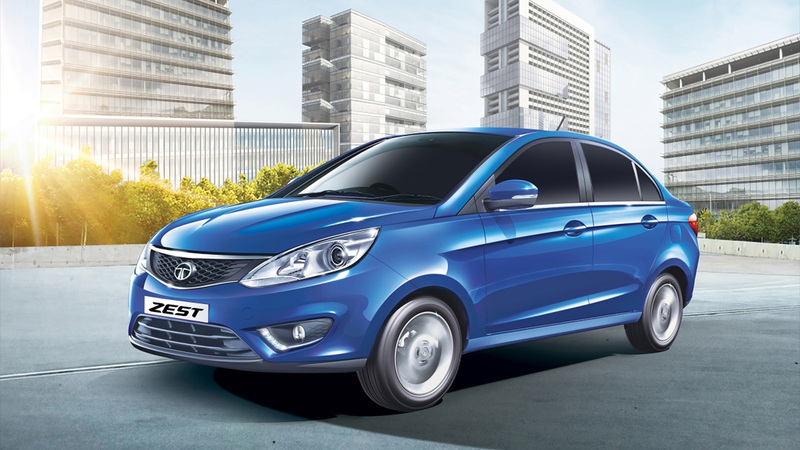 Zest is the first car conceived under the HorizoNext strategy and exhibits Tata Motors’ new design language, characterised by three key elements - Humanity Line, Diamond DLO, Slingshot Line – that give the vehicle a sense of humanity, friendliness, roominess, dynamism, stability, poise and purpose. With a well-sculpted body, the design portrays a sense of power and agility. The Zest’s premium interior includes an infotainment screen and wing-shaped central instrument cluster Bezel. The gear knob, air vents and centre console are connected in a single wing-shaped design, giving the Zest outstanding design attributes. The all-new range of Tata ULTRA trucks have a global design that matches aesthetics with enhanced comfort, fuel-efficiency and low cost of ownership to deliver the best business proposition to operators. An elegant and stylish cabin with a world-class, hydraulic, 45-degree tilt-able cabin has outstanding storage capacity and other features like a dash-mounted gear lever, AC provision and new instrument cluster. The ULTRA range of trucks has been developed keeping customers central to the product development process, seamlessly integrating functionality with aesthetics and comfort. The Design Excellence awards were initiated by CII in 2011 to establish Design as a tool for national competitiveness in the country.